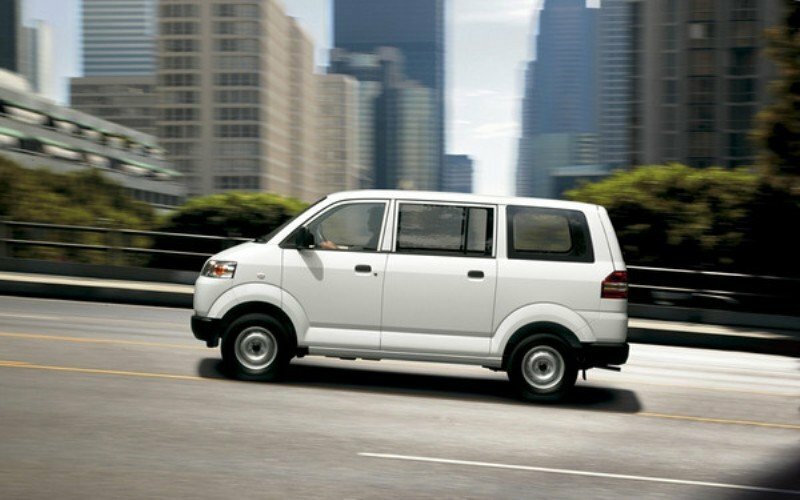 The Suzuki APV is part of the micro van league and despite its compact exterior dimensions features a pretty spacious cargo area which permits you to transport light loads around the city. 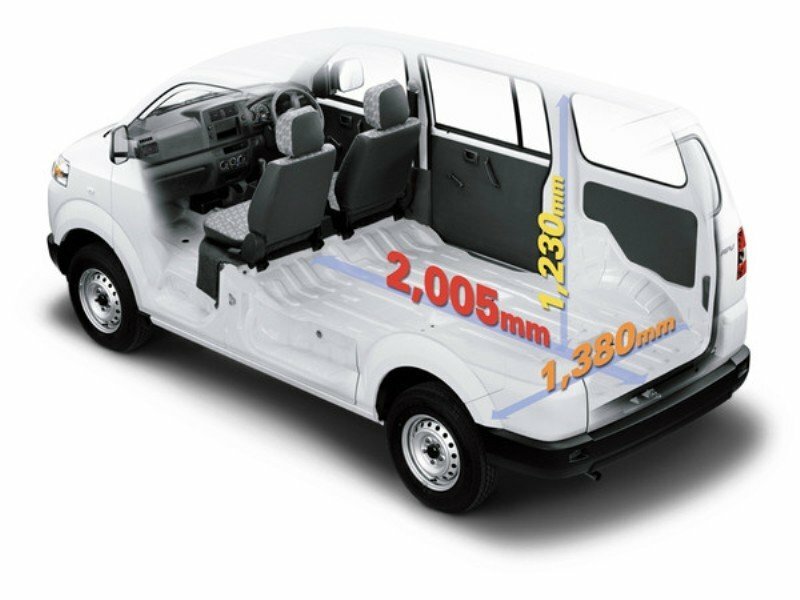 APV stands for "All Purpose Vehicle" and the name is perfectly suited for the versatile character of the vehicle which is offered in both van and passenger versions. The vehicle competes against models like theDFSK Loadhopper, Piaggio Porter or Daihatsu Hijet. 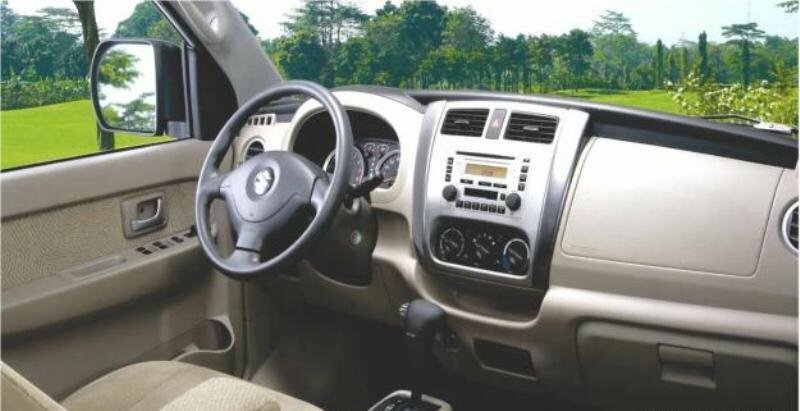 The Suzuki APV received its latest upgrades in 2005 and comes with a pretty pleasant interior and a cargo capacity of 3.4 cubic meters. Under the bonnet, the Suzuki APV is fitted with a 1.6 liter engine that develops a maximum output of 91 hp. 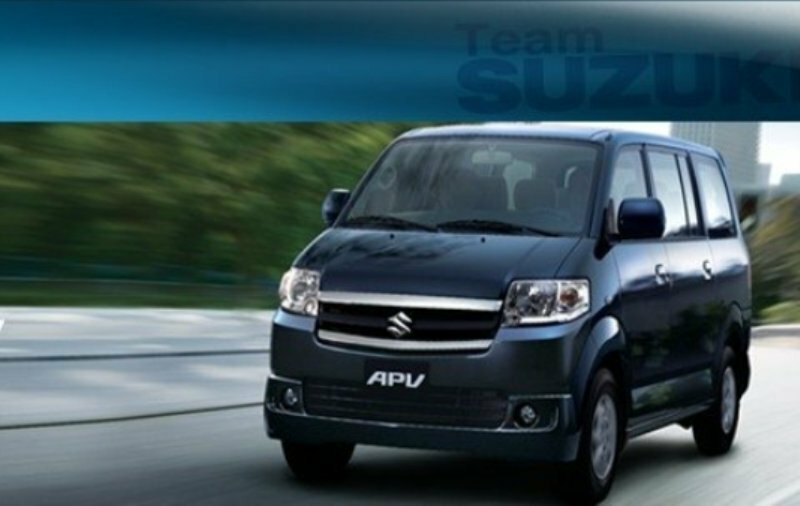 The Suzuki APV’s style doesn’t bring anything new on the table, as it features the same overall appearance as its competitors. Though, a closer look will reveal that Suzuki’s engineers have tried to add a few lines to differentiate it from the rest of the crowd. Unlike the Piaggio Porter which features a pretty European design, the APV looks typically Japanese. The overall design is boxy and pretty robust with the front headlights slightly raised to give the vehicle a purposeful look. The grille features a basic “V” shaped design, but despite its simplicity it looks great and gels well with the rectangular headlights and the rest of the body. The bumper is pretty thin, but it has a solid construction and comes with rounded corners being a perfect match for the utilitarian character of the van. The pronounced wheel arches house a detailed set of 14-inch steel rims, while around the back there is a pair of horizontally placed taillights and a wide opening hatch. The Suzuki APV is 4155 mm long, 1655 wide and 1866 tall with a wheelbase length of 2625 mm. Unfortunately, the vehicle is available only with hinged rear doors unlike its rivals which are fitted with sliding doors. The vehicle seats pretty close to the ground, but the low door aperture and lack of driver’s side grab handle make clambering in a bit gymnastic. On the inside, the Suzuki APV feels cramped as there is limited leg and head room. The overall environment is basic, but we like the dashboard’s pleasant design which is slightly better than what you’ll usually find in this segment. The dashboard is available with a two tones treatment while the center console comes with a nice metallic finish which makes it look pretty modern. On the other hand, the materials and build quality are both poor and the plastics sound hollow if are tapped with a finger. But while the dashboard looks good, its design isn’t the most practical you’ll find around as it could’ve been fitted with more storage places, to maximize the use of space. The driver and front passenger have a pretty good position, as the seats offer adequate support and proper side bolstering. Leaving apart the lack of leg-room the driver’s seat features a set of useful adjustments permitting you to find a decent position. The cabin comes with a non-adjustable urethane steering wheel which is a bit intrusive, but offers a good grab and has a modern design. The cabin needed a better isolation as engine’s heat is transferred inside. There is however, an adequate HVAC system which is able to keep the cabin cool during summer. The Suzuki APV is offered with a CD/tuner (with USB input and removable face included), engine immobiliser, 12V power outlet, rear demister and a basic instrumentation with analogue temperature, fuel, odometer and speed displays. 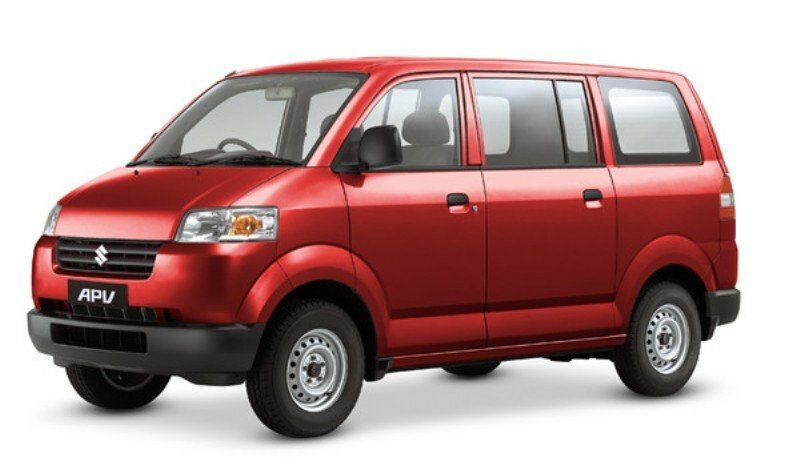 The Suzuki APV van is powered by a lively 91 hp 4 cylinder petrol engine which is married to a five speed manual transmission. The van weighs just 1140 kg so the engine’s power is enough to offer a pretty crisp acceleration around the city. The 127 Nm of torque is also enough to help the APV tow decent loads without feeling sluggish. The clutch is well weighted and offers a good feel, while the gearbox offers clatter-free performances with proper gear linkages. Suzuki claims that the 1590 cc engine returns an average fuel consumption of 8.9 l/100 km which isn’t the best figure you’ll find around. Judging by LCV standards, the Suzuki APV has a pretty good ride and the front Macpherson struts are combined with rear leaf springs, this setup being able to soak the road bumps without affecting the passengers comfort. The compact exterior dimensions are also working in APV’s favor, helping you to maneuver the vehicle fairly easy and to deal great with the tight city streets. You’ll also enjoy the fact that the vehicle has a turning radius of only 4.9 metres. The hydraulically-assisted rack and pinion steering is light and rewards you with a good feel, but you’ll need to be very careful on wet roads as the car tends to spin pretty easy. The stopping power is assured by front discs and rear drum brakes which come without ABS – which is unacceptable for a modern van. Safety features include three-point inertia reel seatbelts with pretensioners, driver and passenger head restraints and dual front airbags. The Suzuki APV offers a decent payload capacity, but for an extra buck you could buy a bigger van. The vehicle’s bare bones interior offers a poor comfort and many owners have complained about the poor paint job found outside as it’s attacked by rust pretty fast. The engines are fairly strong, but their fuel efficiency is much worse than expected given the compact dimensions of the van. On the other hand, the ride is pretty forgivable and you are well protected against road bumps. Unfortunately, on wet roads the APV is a nightmare to drive, as it’s susceptible to spinning. But there isn’t all bad news, as the APV is fairly reliable. Yet, what could go wrong in a van that uses only basic technology?